Apple and iCloud went down last night. Twitter is down right now. Amazon is down right now. The internet is down. And we can’t talk about it. 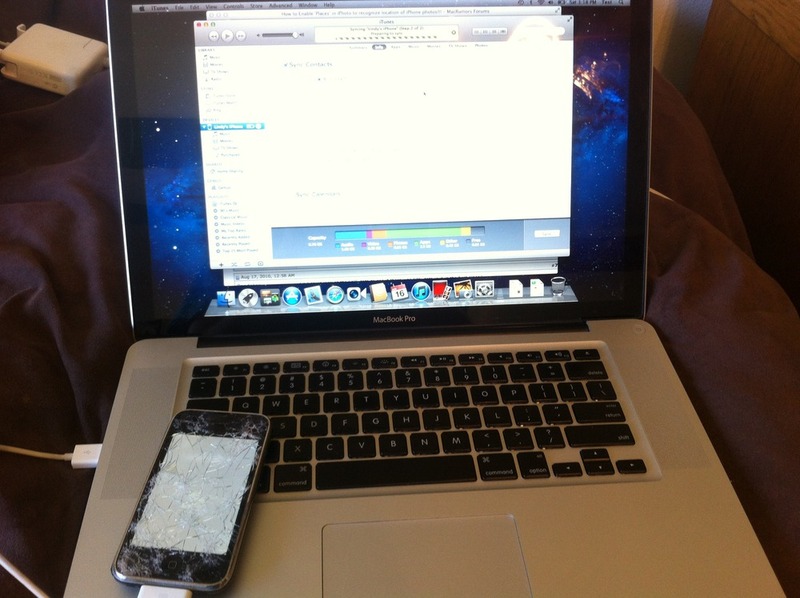 How to Return a Lost iPhone, or How I found the owner of a smashed iPhone. I was driving home today day, and I saw something shiny in the road. I drove past it but something said to me "That is an iPhone." My cousin had recently had her lost phone returned to her by a stranger. She had lost it along with her drivers license, and the kind guy had called all the Dances in the phone book in the city listed on her license. I figured karma was calling my name, so I turned around and sure enough it was a lost iPhone. The screen was pretty much shattered, just like my cousins phone had been. Unfortunately I didn't have a drivers license to get a name from. I pressed the power button and the screen lit up, blank white. I figured that was pretty much a miracle. I know it would be on the slide to unlock screen so I tried to gently slide my finger across the shattered glass to unlock it without slicing my finger open. No luck. I then tried to hold down the home button to get voice control. I figured I could tell it to "Call Home" or something, but no luck. Maybe she didn't have it activated. Next step, was I took the iPhone home and plugged it into my Mac. Amazingly enough it made the sync noise and iTunes popped up with "Lindy's iPhone" in the sidebar. I could only see the music she had on her phone from iTunes but I knew that if I could sync it to the computer I could get the some contact info. However, I didn't want to override all my info on my Mac with her's. I quickly made a new user on my computer, logged in, and synced the phone up. I was worried she wouldn't have, or I wouldn't be able to get the contact info so while it was syncing I opened up iPhoto. I figured I could use the geolocation of photos to find a "home base". No such luck, she didn't have her iPhone recording photo locations. Luckily the addresses book synced without problems and she had a Mom and a Dad contact so I called her Dad and said, "This is a random call, but do you have a daughter named Lindy? I have her phone." Turns out she lived a block from where I found the phone. I drove over there, she wasn't there, so I left the phone in her porch mailbox with a note. And that I how you return a lost iPhone when the screen is smashed. Things I have learned + a note about company culture. I have learned a ton in the last couple of days. Mostly about WordPress. It has also been really interesting to see how different companies work and how the culture really affects the work place. So of the guys I work with told horror stories about how their old bosses were overbearing and crazy. One guy said that he had to log what he was doing EVERY 6 MINUTES. Even on lunch. We have a quick standup meeting every morning to make sure we are all on the same page and then we dig into our work. I like it. I set up a CDN (content delivery network) for the company blog to make it go faster. I wrote a little php code to auto crop images for the doctors who write on the blog. And finally, if you don't want unpublished drafts to appear in your "Recent Drafts" sidebar, just use this little command in the query. transfer a blog from one server to another, here is the simple list. 1. Install wordpress on the new server. Remember your database details. 2. Copy all the files over from your old server. Yes all of them. 3. Put your new database details in your old blog configure file. 5. Export your old blog. 6. Import to new blog. And you are ready to rock baby. That is your little tech thought for the day. 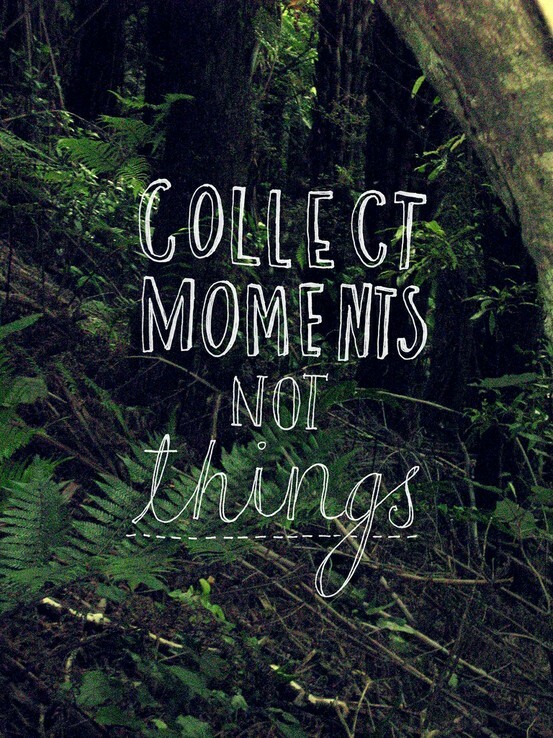 I am a sucker for good quotes. 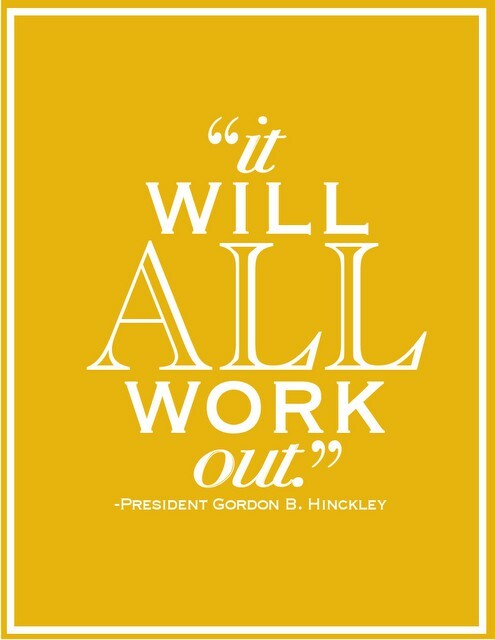 I love lessons learned over time condensed into a wise saying. MySQL is an open source database language. It was named after founder Michael Widenius' daughter My. It is widely used today. Mid-sized companies such as Google, and Facebook and Twitter all use MySQL. Basically, if you are dealing with a database, you are going to be using MySQL. Day 2 at Orca. Whirlwind. Not as bad as the first day, but pretty crazy. Here is a smattering of things that I learned and used today. ls – shows a list of everything in your current folder. cd 'folder name here' – moves to that folder. cd – send you back to you home folder or directory. New windows, baaad. New tabs, gooood. In general, Safari’s tab controls are wonderful, but one failing drives us crazy: Certain links are allowed to override your preference for opening new webpages in tabs, essentially forcing the application to open a new window. To prevent this in the future, execute this command: defaults write com.apple.Safari TargetedClicksCreateTabs -bool TRUE. Today was my first day at Orca Health. And boy was it crazy. Here is a list of things that I did today. The bold items were things I didn't really know how to do. Learned a lot today. Looking forward to tomorrow! 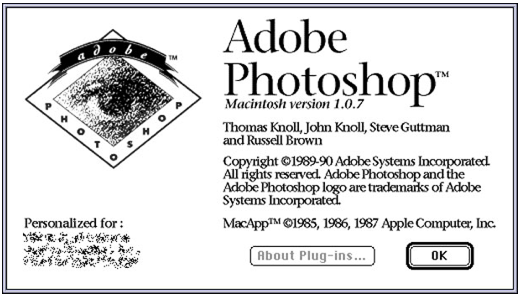 Did you know that Photoshop was released in 1990 for the Mac? It was written by two brothers, Thomas and John Knoll. They demoed the software to Apple and Adobe but Adobe was the one who decided to distribute it. Computers really are incredible. A tool initially built by one guy and his brother has come to touch almost every life on this planet. If something is visual, there is a good change something in that image touched Photoshop. This article about the history of Photoshop really shows how far the program has come. The fact is, I remember using version 4.0 of Photoshop. Which came out in 1996. I remember thinking that this program was the coolest thing ever. Moving forward, it is exciting to think of the possibilities of where Photoshop can go. I think the system will continue to get faster (although maybe this can be attributed to computers getting faster) and complex operations will continue to be boiled down into "brushes". Healing a bad patch on an image used to require some skills and knowhow. This was packed up into a brush that makes it easy to get 80% of the job done with limited skills or training. I think other processes and "skills" will be packaged into brushes or processes making Photoshop increasingly easy to use for the common computer user.